Some 18,000 barrackers turned up at Kardinia Park in Geelong on the weekend to witness the contest between Collingwood’s lady footballers, who boast fewer tattoos than their club’s male colleagues, and the Geelong Cats. As games go — no sexism here — it wasn’t a bad spectacle, the result decided by a single point. Unlike men’s football, however, the final score was ridiculously low: 24 points to 23, which in AFL terms represents a famine of shots on goal. The problem is that women, no matter how good they might be on other points of the game, simply cannot kick as far as men, so instead of three coast-to-coast drop punts to get from one goal to the other, the ladies required seven and sometimes eight. As every kick is an opportunity for the ball to be intercepted by the opposition and sent back the way it came, much of the day’s action unfolded in a series of ping-pong style rallies between centre half forward and centre half back. This could be fixed by shrinking the ground and moving the goals closer to each other. It’s time to rewrite the language of Australian sport. We need to drop the unnecessary, divisive labels and erase the gender bias that has become accepted and ingrained. There is no longer a place for the sub-category known as “women’s sport”. There is just sport. It belongs to all. It’s what everyone plays. What has traditionally been divided into buckets should become mainstream. Everyone should feel welcome, worthy and equal. 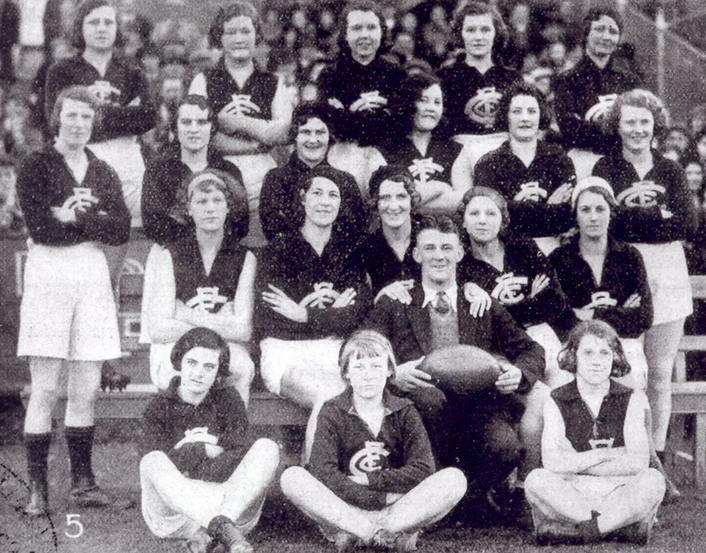 Given that no sport is gender-exclusive, why do we continue to call it “women’s sport”? Especially now that, as a society, we recognise there are more than two genders. More than two genders? Not so long ago only gender studies academics made such assertions and only other gender studies academics took them seriously. Now, apparently, tri-, quad- and quin-sexualism is official, taxpayer-endorsed policy. Unlike women’s footy, social engineers never waste time to-ing and fro-ing. Rather, they put their heads down and charge relentlessly through the institutions to claim their next goal. And there is always a next goal.